SCRAPPING NOMAD: Negative Space Layouts - Happy campers!!! Today at Practical Scrappers we were asked to create a layout using negative space. It was my chance to use this fab JBS letter stencil I got with my Studio Calico kit some time ago, plus some camping embellies I have had for a long time, which came in one of my Scraproom kits. We never go camping, so I didn't think I would use them, but the cabin embellie looked just like the one in the photo! 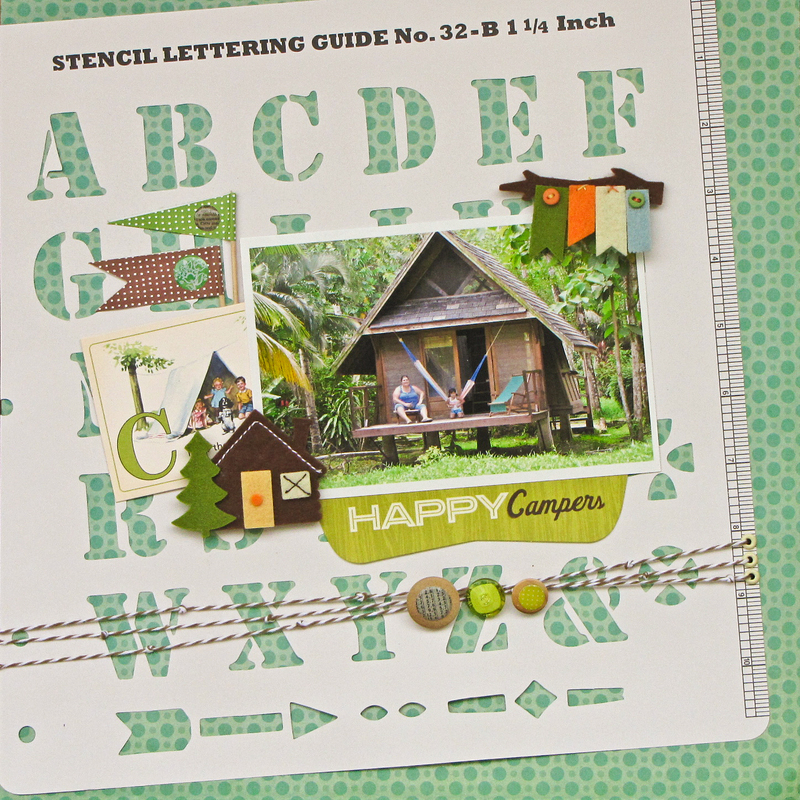 Visit Practical Scrappers for more ideas on how to use negative space in your layouts. Have a great week!